–Vince Lombardi… at a grilling convention. Probably. Or what we interpreted when he gave his famous pep talk. Now while we may never know for sure if Mr. Lombardi was talking about winning at football or grilling, we can apply this mindset to grilling. A little snow never hurt anyone. So slap on some gloves and boots, and start grilling in winter! I’ve complied a comprehensive list of Pros & Cons of grilling in winter. For the sole purpose of inspiring you to get our there and grill! Cold digits? Stand closer to the grill warm those lil piggies and fingers right up! Great workout depending on how much snow you let accumulate around your grill. Beer never gets warm when the world around you is a cooler. Snow benches and table sculpting happen. Gives you something to do on snow-days! 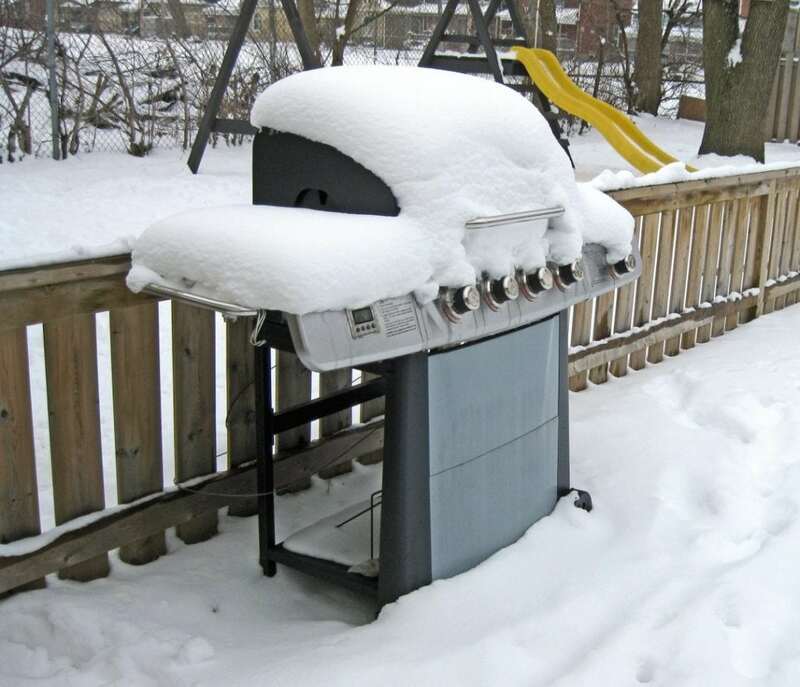 Shows your neighbors how tough you are grilling in the elements! May lapse into a food coma from the combination of digging grill out and eating delectable foods. Potential to cause winter cook-offs between neighbors you once regarded as friends. House may be colder due to cooking inside far less when you realize how crazy you were to have stopped grilling just because of a little weather. The only thing that should ever delay (not stop) your grilling would be the lack of propane or charcoal. Which is usually a fairly easy fix. 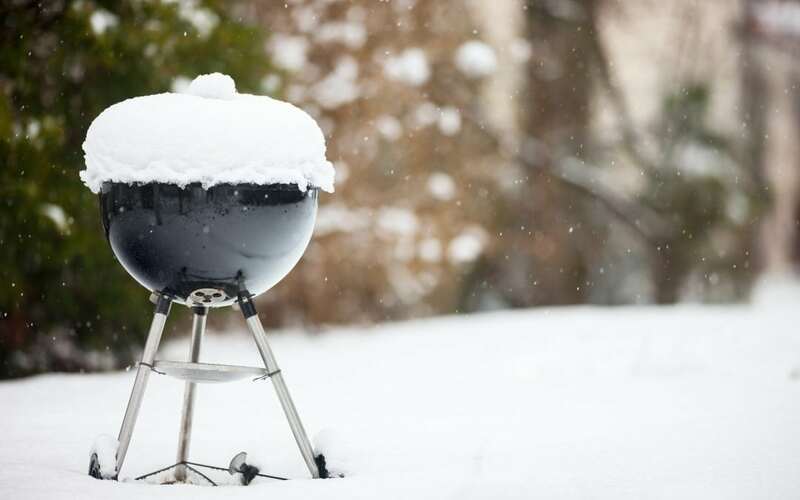 Snow and ice are not a show stopper for grilling; they may appear to be a deterrent, but the end result of delicious food and a nicely shoveled deck gives the best feeling of satisfaction that anyone could ask for. When it comes to grilling in the winter, all it really takes is a little elbow grease and some determination to get that flavor that you so crave! Evan here! Born and raised in Sandpoint, Idaho. Join me on my journey, shovel in hand, grilling planks in the other as I discover the tastier side of the grill. I once heard that “A snowball in the face is surely the perfect beginning to a lasting friendship.” and many snowballs made from around the grill can only bring a lasting grilling love.